The latest pop music echoes through E101; the room thumps. A crowd of rowdy students huddle in front of the projector playing Nintendo Switch, their fingers deftly sweeping over the controllers. On the desk sits a tray of goodie bags adorned with heart shaped cutouts to be gifted to students on their birthday. On a shelf sits a stuffed bear, the first of a coming collection that will make up a stuffed animal corner. Physics and chemistry teacher Julie Choi implemented these stress relievers at the beginning of second semester for student support. 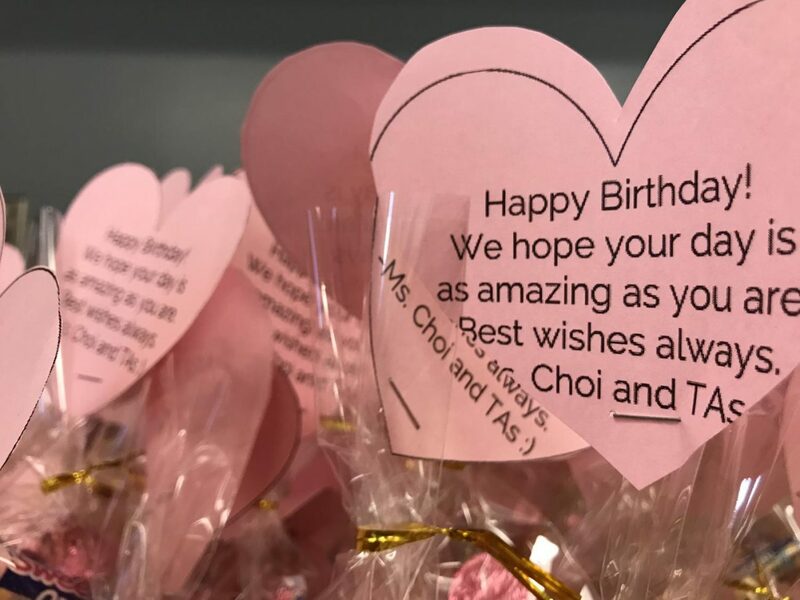 As a teacher, Choi believes that her role is not only to provide academic support and guidance, but also social-emotional support. Choi’s coming collection of stuffed animals, to be donated or brought in by her students. Photo by Annie Zhang. By offering an outlet for her students to de-stress, Choi wants to foster community in the classroom. Choi says that when she attended MVHS as a student, she was sometimes fearful of her teachers because they were “authority figures.” She sympathizes with students, wanting to present herself as an approachable person. Senior Daniel Budziwojski is grateful for Choi’s effort in supporting students. He feels that she has gone “above and beyond” in her role as a teacher. Sophomore Grace Kuo, who is in Choi’s sixth period AP Physics 1 class, agrees with this sentiment. Kuo believes that bringing in these stress-relievers reinforced what she already felt about Choi being kind and understanding. 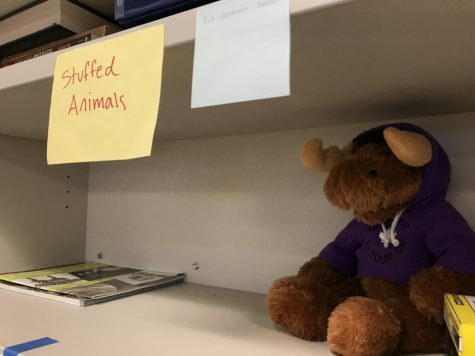 Despite the multitude of stress relievers being introduced in the classroom, Kuo has never identified Choi’s stress relievers as a distraction to her academic prowess. 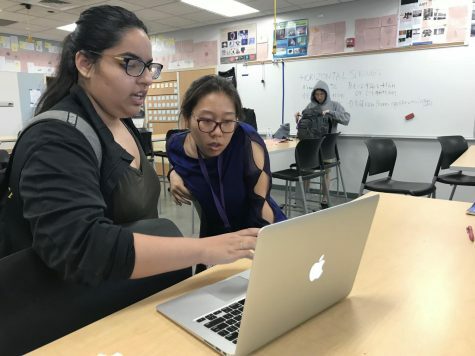 “I don’t think it would be a distraction because a lot of students just do problems by themselves because you’re in a classroom so you’re applying things at school,” Kuo said. Choi’s Nintendo Switch, used as an outlet to de-stress. 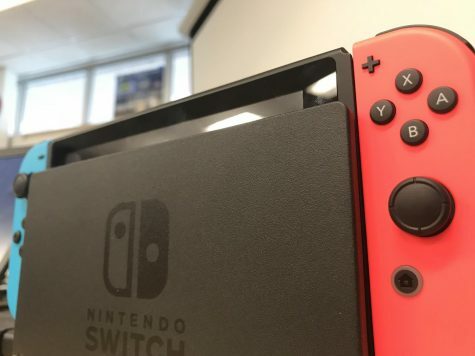 The Switch contains games such as Overcooked, Mario Party and Super Smash Bros. Photo by Annie Zhang. Budziwojski admits that the idea of stress relievers acting as a potential distraction has crossed his mind. However, with it put into practice, he doesn’t see it to be much of a problem. Choi herself was also slightly worried about bringing a video game into the classroom. However, she checked with her department lead, Pooya Hajjarian, who agreed with it. She also sees it as an educational opportunity. “I guess it’s a trend for classrooms to bring in these kinds of things to motivate students for educational reasons,” Choi said. “And so that might be something I might be searching up during the summer. I’m thinking maybe when the Smash characters collide into each other, like the way that they fall, must have some reason. Choi assists a student with chemistry help. Photo by Annie Zhang. Above all, Choi wants to build teamwork through having the Switch, as many of the games are team-based, such as Overcooked and Super Smash Bros. She hopes that students will get to know different people and learn collaboration, important skills in AP Physics 1. She also feels that the Switch can provide a medium for more communication and interaction between people. For example, some of her students from previous years whom she hasn’t talked to in a while have come to her classroom because of the Switch.